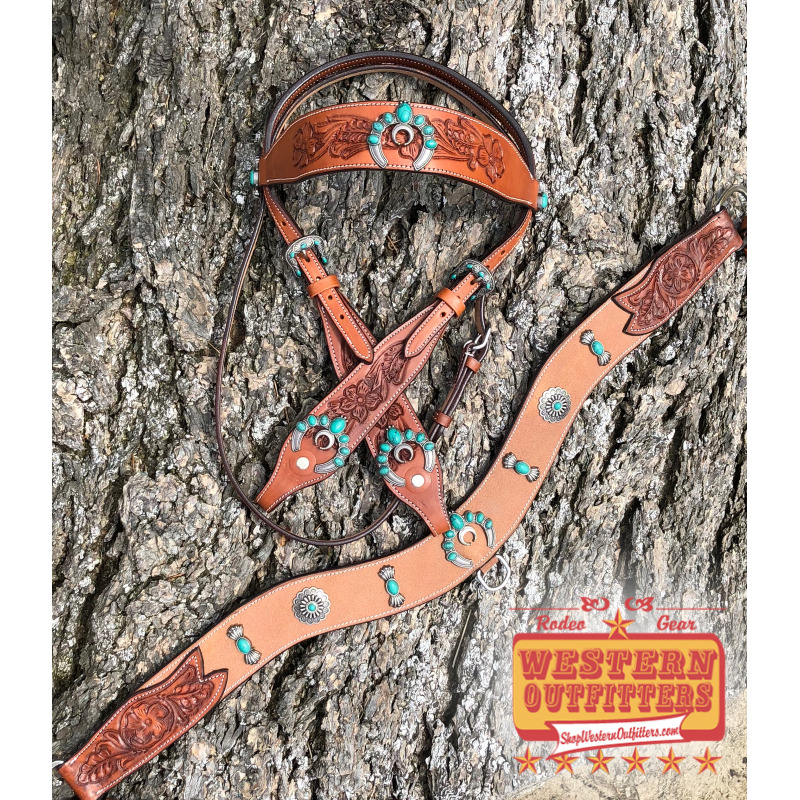 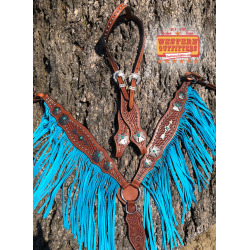 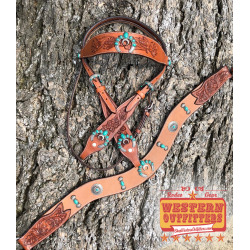 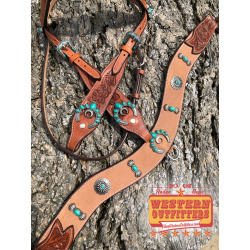 Medium leather headstall and tripping collar set featuring floral tooling overlay over rough out leather accented with our exclusive squash blossom antique silver and turquoise conchos and southwest antique silver and turquoise buckles. 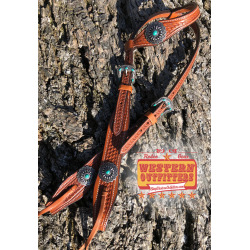 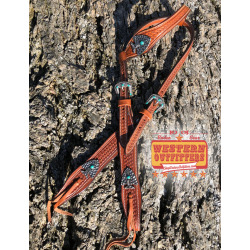 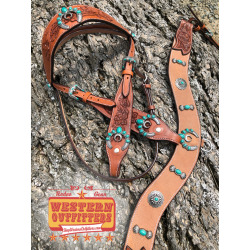 Headstall features floral tooling squash blossom conchos and southwest turquoise buckles. 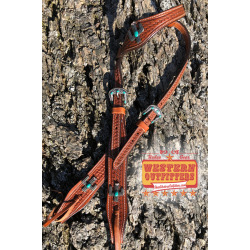 Tripping collar is 2" wide and has single tugs.